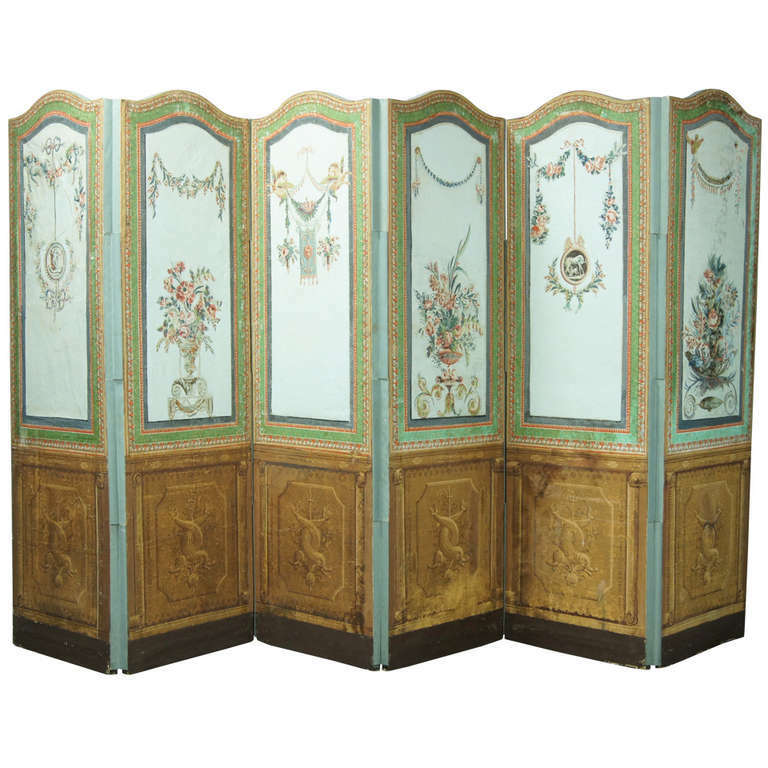 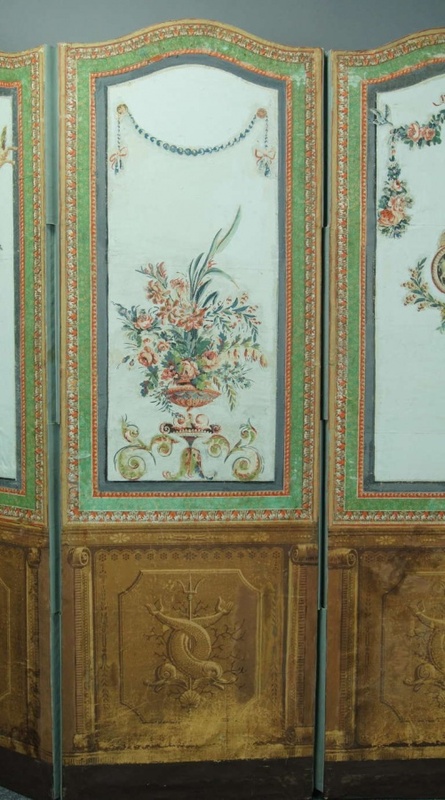 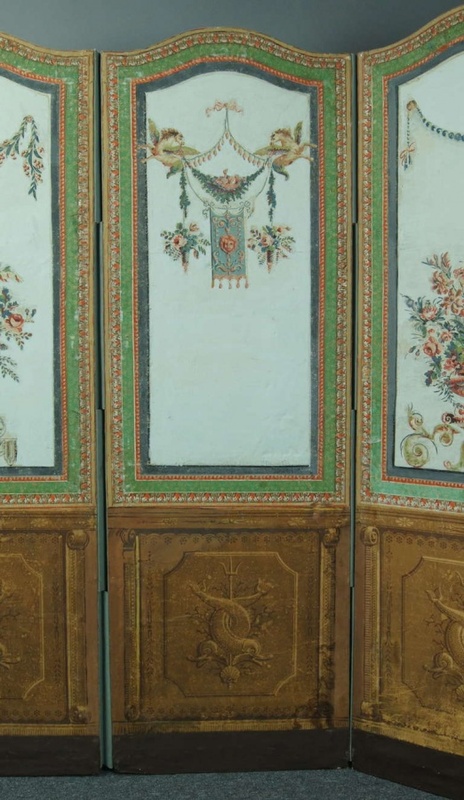 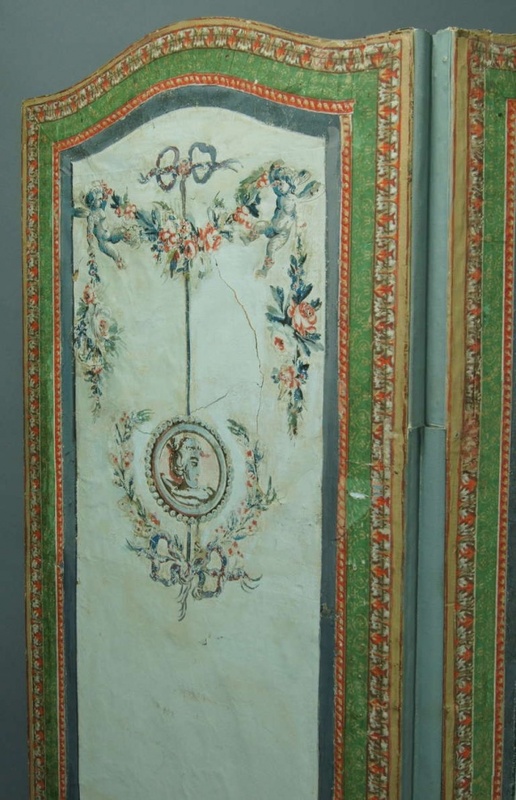 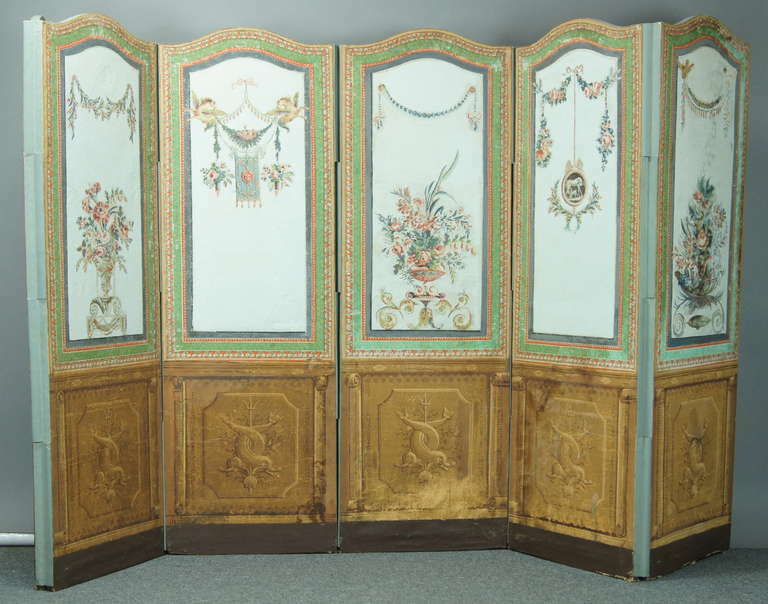 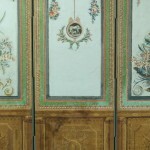 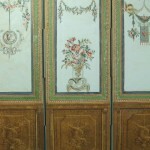 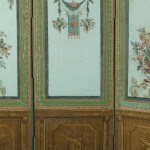 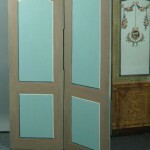 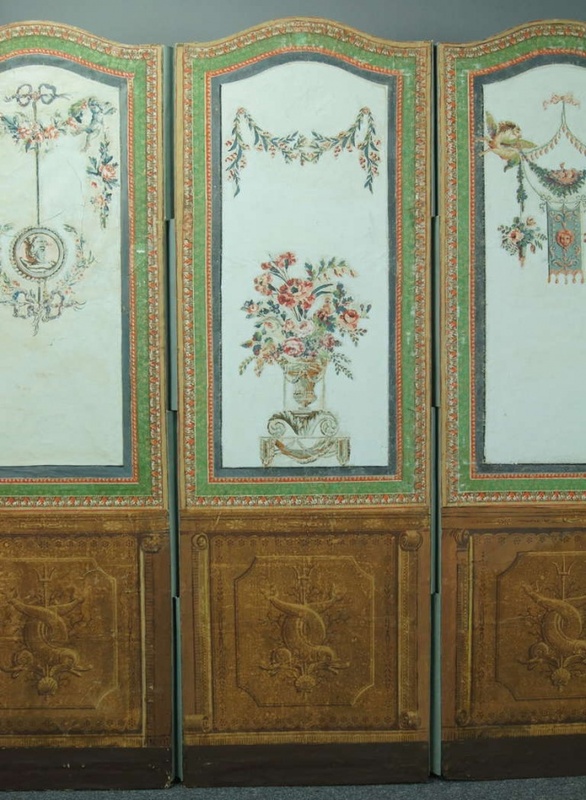 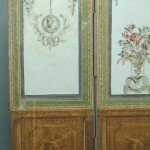 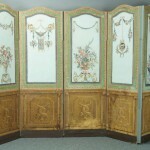 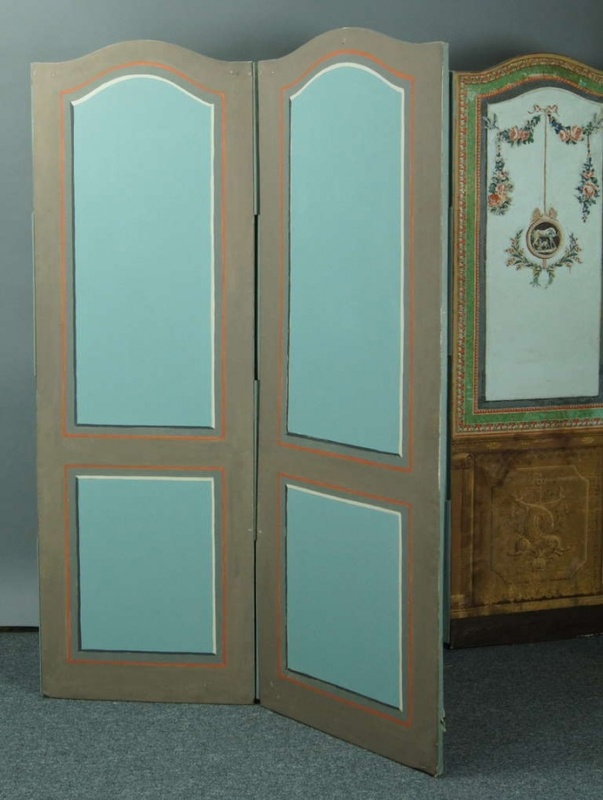 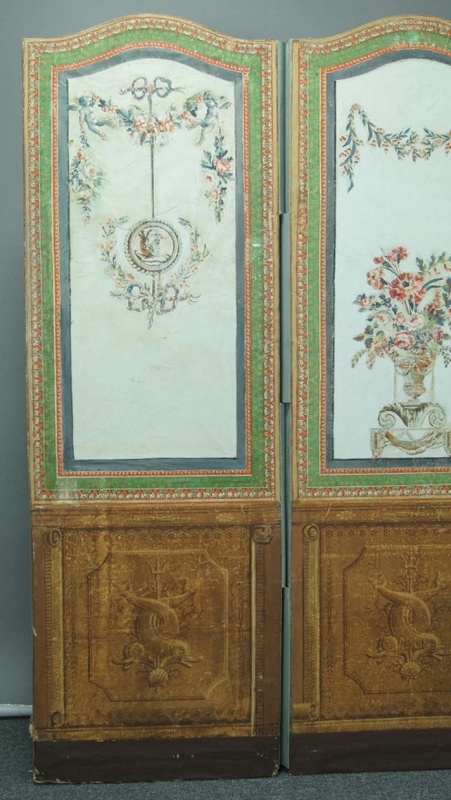 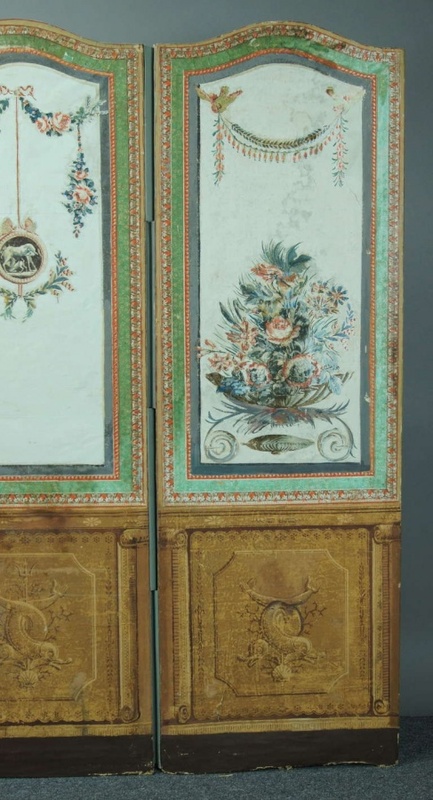 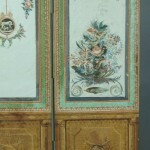 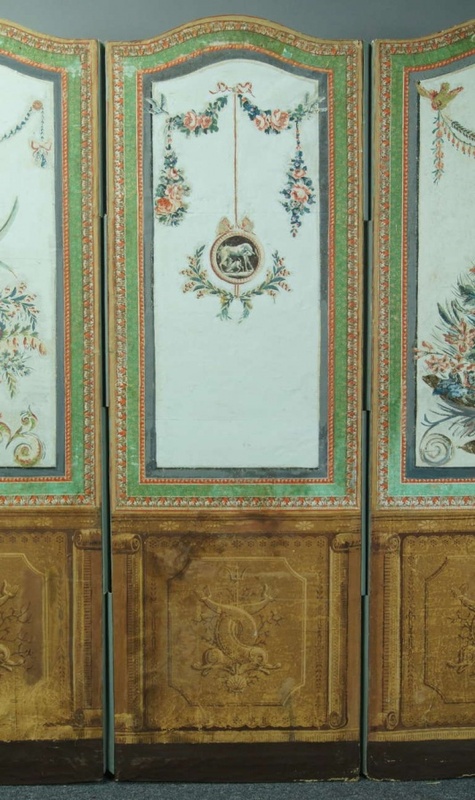 A large and decorative six panel screen painted in the middle of the 19th century. 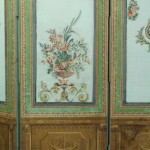 The painting style is reminiscent of the 18th century with urns overflowing with flowers and foliage. 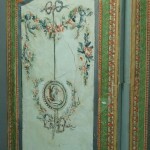 The back is painted (probably at a later date) in a simple faux panel.